Stress Awareness Month has been a running event for 26 years. Each year the dedicated month aims to provide awareness and resources for people who are struggling with stress throughout this month. Not only do high levels of stress contribute to our physical health such as heart disease and insomnia but it can have a detrimental effect on our mental health too. Stress is a significant factor to mental health problems such as depression and anxiety. 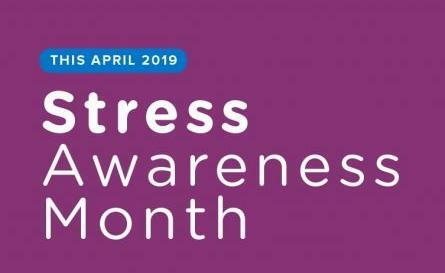 Throughout Stress Awareness Month, the Stress Management Society are providing blogs, news letters and campaigns in order to help bring awareness and advice on how to manage stress. If you struggling with stress, talk about it, share your coping mechanisms and you could help reduce the stigma of being stressed and it may help others deal with their own stress. In a world where hustling and working hard to reach your goals is praised it can also be important to take time to relax and enjoy the little things in life – taking time for yourself isn’t lazy. Talk about stress openly with your friends and family and if someone you know expresses that they are stressed, be kind to them and offer them support where you can. At The Eaves we have many counsellors and psychologists specifically trained to help you with stress. Please call one of the numbers above to find out more.